Today we are living in profile world that represent our life in the web.so there are many websites are coming forward to register yourself and provide you privacy and experience the comfortness.website such as facebook,twitter,Google+ provides you a profile with seperate login system.login system is perfect system used nowadays to experience the service to the utmost levels with privacy. why we choose logins and credentials? the Logins and credentials are used to define the user for uniqueness and experience the services fully.credentials are used for restricting the access to the other users and privacy. what happens when You Enter a Logging system? 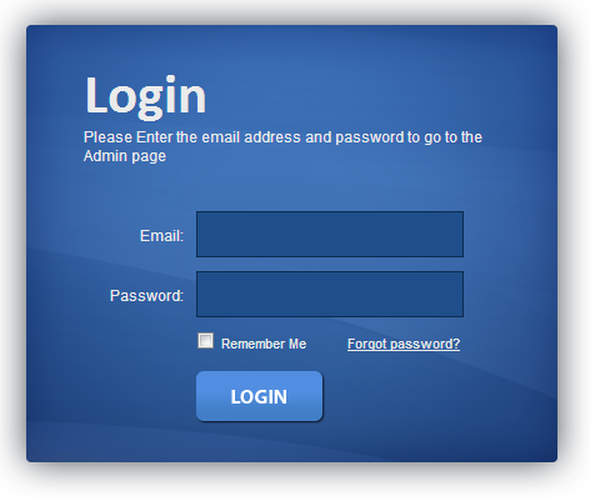 Generally when you enter a Username & Passwords through a Form.they are considered as input from users and they are being travelled to Server side validation.validation is the important step in a Login system.First it checks and clean the input values to avoid injecting database.then they are appended through a Query statement and if the process gets success,You are redirected to another page.If the process fails it stands in same page. create config.php file and keep it in Your web server directory. Run sql query to generate the table. save this code as index.php file in same directory. this provides you to access the home.php. if user bypass the login! he will be noted as Access Denied. thus tutorial gives you a start up for login system and You can see advanced logins like php self() using functions in my next post,which is reliable now as secured. if you feel free comment below. HEY NICE ONE shiva BUT! THERE IS A SLIGHT BUG! IN FORM TAG POST MUST BE IN "POST"
and change the querystatement user to login! your explanation towards the login and credentials was awsome..this shows your understanding capablity of needs in environment!